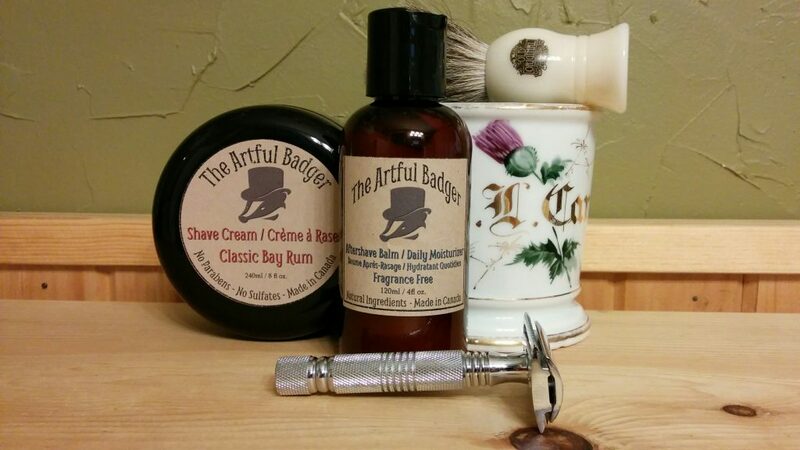 Coming soon: The Artful Badger’s very own line of top shelf, Canadian-made grooming products. Shown here is our Classic Bay Rum Shave Cream and our Fragrance Free Aftershave Balm / Daily Moisturizer. More great products (and more detailed information) to come – stay tuned!